The AGSI says the force is being silenced. 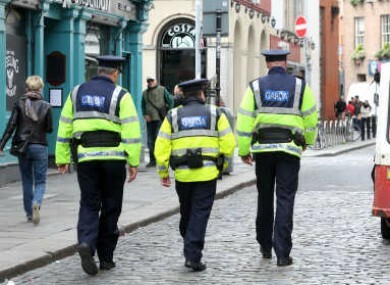 SENIOR GARDAÍ HAVE accused management of bullying some of its members. In a wide ranging criticism of the conditions facing gardaí, the Association of Garda Sergeants and Inspectors (AGSI) says its members are becoming increasingly frustrated with the lack of developments on the promises made under the Haddington Road Agreement. Deputy General Secretary of the AGSI John Jacob said, “Members of Sergeant and Inspector rank have been, and are, the subject of bullying in some cases by senior management. Calling for an urgent review of the pay and conditions of gardaí, Jacob said Minister for Justice Frances Fitzgerald and Garda Commissioner Noirín O’Sullivan had failed their membership. We have had idle promises but no outputs delivered. “The review of An Garda Síochána is due to be completed by the end of February but as we speak we have heard nothing from Ray Magee, facilitator, Haddington Road Agreement Review and have had no meaningful discussions. “The review was put in place to look at pay and conditions and industrial relations mechanisms for Garda staff Associations. These are critical issues for our members and having a voice in your own terms and conditions is a fundamental right. By ignoring this issue, we are effectively being silenced. He added that the Commissioner has failed to deliver a welfare service on a 24/7 basis despite the AGSI asking for this seven years ago. Email “Gardaí accuse senior management of bullying members ”. Feedback on “Gardaí accuse senior management of bullying members ”.